The «Placeholders» used in the «Designer» are native Word «Content Controls». «Content Control» containers cannot be placed freely on your document. They can only be placed in-line within your text. They are not like pictures that can be (floating) placed anywhere on your document offering many different anchoring options. The way to overcome the native Word «Content Controls» positioning restriction is to use «Text Boxes» (Insert -> Shapes -> Text Box). «Text Boxes» are like pictures and can be placed freely on your document. The trick is to place your «Placeholder» within a «Text Box» that can be positioned anywhere you wish. «Text Boxes» also work in the header and footer so you can also place your «Placeholders» freely anywhere in the header and footer utilizing «Text Boxes». 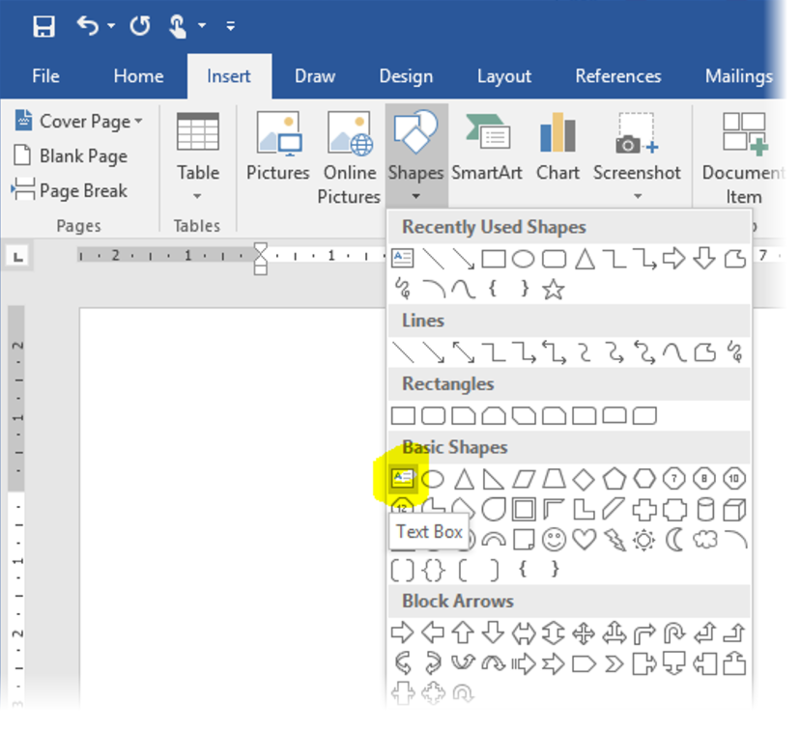 Create a new «Text Box» by selecting the «Text Box» Shape from your «Shapes» menu on the «Insert» tab. With the «Text Box» shape selected mark (click and drag) the area on your document where you want to place your «Text Box». When letting go of the mouse you will see your new «Text Box». Use the many anchoring options to place your «Text Box» according to your design. Make sure it is relative to the page in case you do not want it to flow with your text. Finish customizing your «Placeholder» as desired. Verify your work by launching the «Wizard» from your «Designer» Add-in and making your data input accordingly.